DnDork is the ultimate marketplace built specifically for the domainers to sell and rent their domains directly to end users. Decide how you want to get paid from buyers. Choose from Payoneer Escrow button, Escrow.com button & PayPal (available soon). Customize for-sale landing pages and marketplace design, logos and texts. Add Google Analytics tracking ID to monitor traffic. List your domains for selling and renting. Receive offers from potential end users directly into your inbox and negotiate at your own terms. Access your marketplace on all devices and enjoy the responsiveness. Though you wouldn't risk using it on mobile, we gave it anyway. Change the color scheme and details of your marketplace with just few clicks. Manage unlimited domains and offers at one place. Built for domainers by the domainers. Made for high performance. Optimized for SEO. Highly customizable with zero knowledge of coding. List unlimited domain names for selling and renting at your own terms. Receive unlimited inquiries for domains directly into your inbox. Show marketplace news, live auctions and discount offers at topbar notifications section. Choose your marketplace color scheme from 10+ pre-built themes or create your own. High Google rankings guaranteed with proper use of headings, SEO friendly img & clean code. Customize anything with just few clicks - color scheme and marketplace details. With DnDork marketplace you can organize and manage your domain portfolio that leads to more sales and increase in revenue. Change the color scheme and details of your marketplace with just few clicks. List unlimited domains for selling and renting. Receive offers from end users directly to your inbox. Use topbar to showcase your live auctions and discount offers. 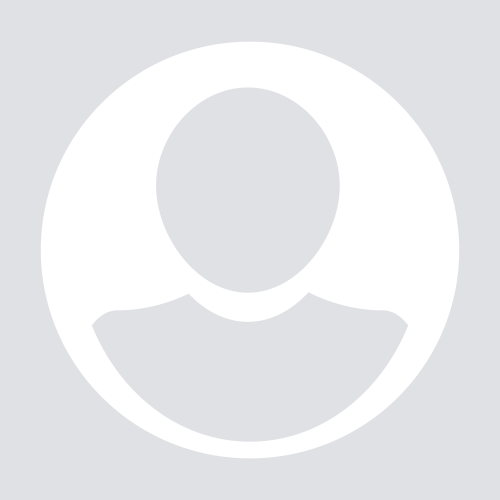 Reply directly to interested users from admin panel. DnDork is built with creativity in mind. It is fully responsive and easy to use. 100% responsive design that adapts to any mobile viewing device. Easy to use and manage with detailed instructions. Track your visitors with Google Analytics. Verify your marketplace with Google Search Console to track search queries. For years, I have been slowly accumulating domains. Some I use, some I don't. I always intended some to be for sale, but others I was not sure what to do with them. I tried Parking services offered by my Registrar, and that was a flop. Now with the help of DnDork, I can at least organize them all into a Buy/Lease website that showcases my small modest portfolio AND gives me a platform where I might choose to list domains by others! Though I had a small technical issue when I first got started, the excellent DnDork tech support ensured that I was up and running in no time. THANK YOU! I am a satisfied customer. DnDork marketplace is exactly what I needed to keep track of my domain portfolio and sales statistics. Finally I've been able to own an awesome marketplace! It has beautiful design, easy-to-use and has multiple colors schemes to choose from. I can now sell and rent my domains directly to potential buyers. in minutes. All prices are one-time only. Everything in the personal package. We will also handle everything from setting up your marketplace site to connecting all the services. So you can focus on growing your business! Is DnDork marketplace a hosted service? No. 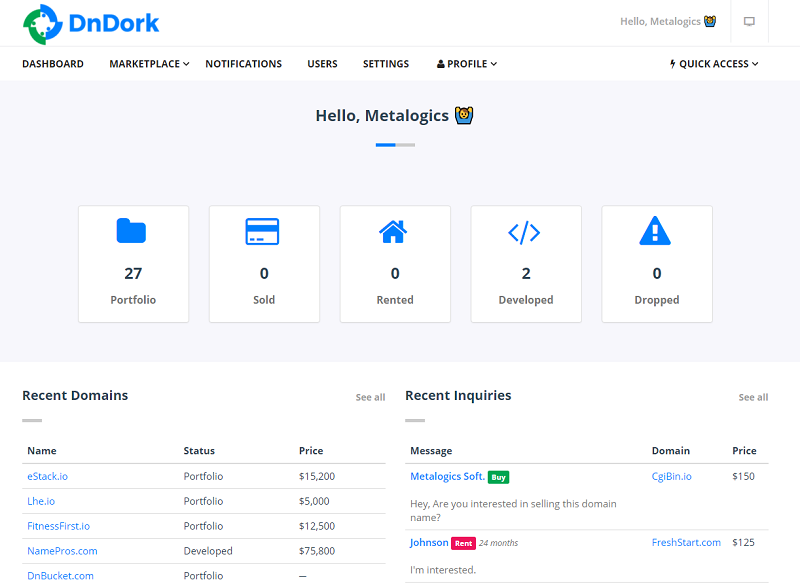 DnDork marketplace is a self hosted application that runs on your web server. Pay once and it's yours, there's no recurring fee. You need an Apache server running a Unix like operating system (eg. Linux) with PHP & MySQL support. Almost all hosting companies support them. Learn more about technical requirements. Can I install DnDork marketplace on multiple domains? DnDork marketplace can be installed on one domain per license. To install DnDork marketplace on more domains, you need additional licenses. DnDork marketplace's licensed domain is just 'where you install DnDork marketplace on'. How often do you update DnDork marketplace? We're using DnDork marketplace as well and will continually make it better and better. Updates are free for lifetime including all major releases. Is DnDork marketplace easy to setup? Yes. Just follow our installation guide to setup and running in minutes. Yes. If you require installation service, we do provide it for only $30 additional. Please order setup package to avail our installation service. domains and offers at one place. © 2017 Metalogics Soft. All Rights Reserved.